If you have ever seen any type of tool assisted massage, you have an idea of what IASTM is. 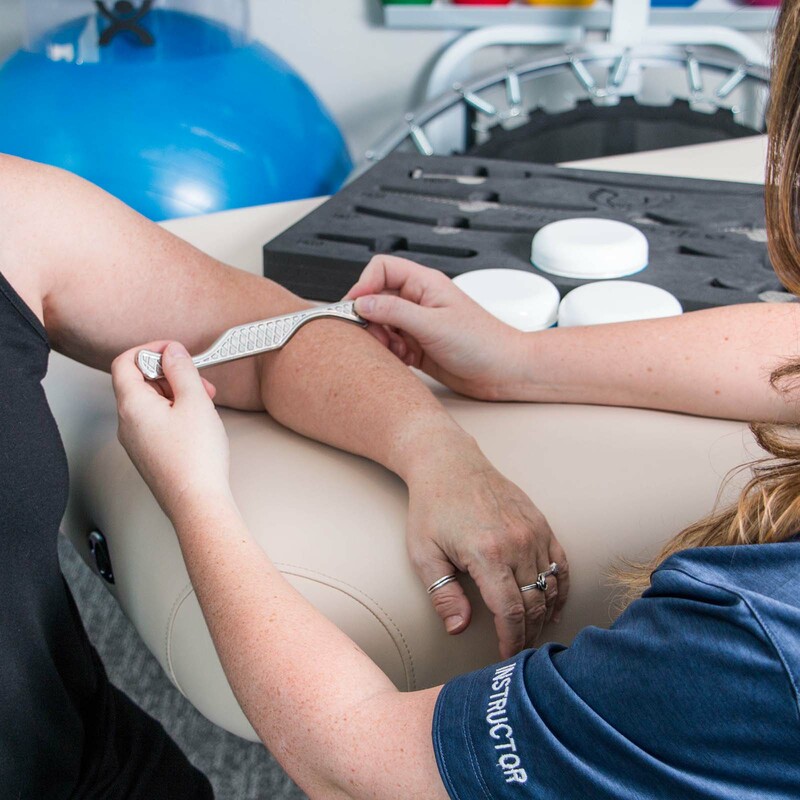 IASTM, or Instrument Assisted Soft Tissue Mobilization, involves using a range of tools which enable clinicians to efficiently locate and treat individuals diagnosed with soft tissue dysfunction. The purpose of using an instrument is to scrape the skin in hopes of healthier and more connective tissue. There are many advantages to IASTM. This form of treatment helps put an end to scar tissue build-up caused by weak tendons, muscles, or ligaments. It is also less invasive than trigger point injections, dry needling, and acupuncture. IASTM creates more changes at the cellular level than traditional soft tissue mobilization. Using an instrument during mass ages allows for more blood-flow and greater nutrition to individual cells. Additionally, finger tips alone cannot detect the subtle differences in soft tissue texture like a firm edge can. The instruments used in this therapy are meant to assist with the manual mobilization of muscles and fascia. Instruments that are most commonly used are small, handheld, and made of plastic, stainless steel, or jade. Medical professionals will use instruments to effectively break down fascial restrictions and scar tissue. The primary focus of IASTM is to create a controlled microtrauma to an area of the body to elicit an inflammatory response. This inflammation will occur after the massage process and will lead to scar tissue build-up. Having inflammation at the affected area is intentional as inflammation is not always bad. In fact, using inflammation in this scenario will help to improve dysfunctional movement patterns that led to the injury in the first place. Patients with soft tissue dysfunction will need a little inflammation to heal. When going to see a professional, do not be afraid of the shiny metal tool that will be used on your skin! Consult your doctor to see if IASTM is right for your soft tissue dysfunction. For more information on IASTM, click here.